Georgina Moon is a seasonal cruiser who sails around Greece with her husband every summer. In addition to describing her adventures in a weekly diary, Georgina also shares some useful tips and insights for the places she has visited in Greece. 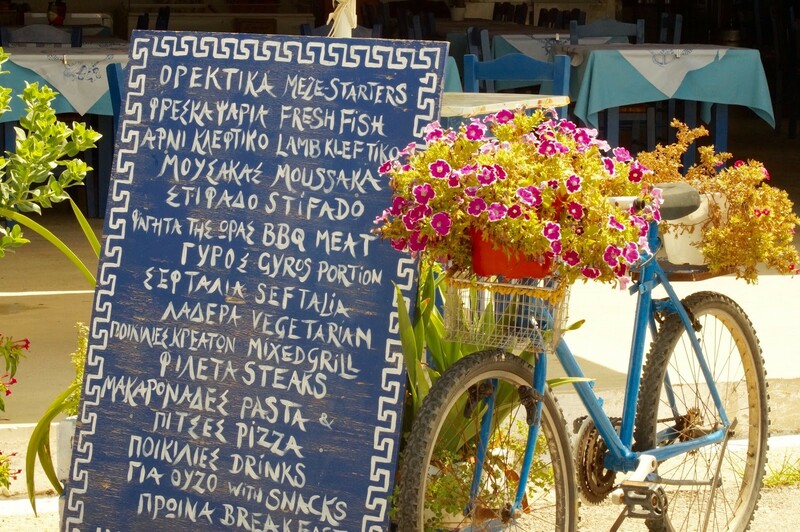 This time: discovering Paleros, a charming seaside village on Greece’s western coast. 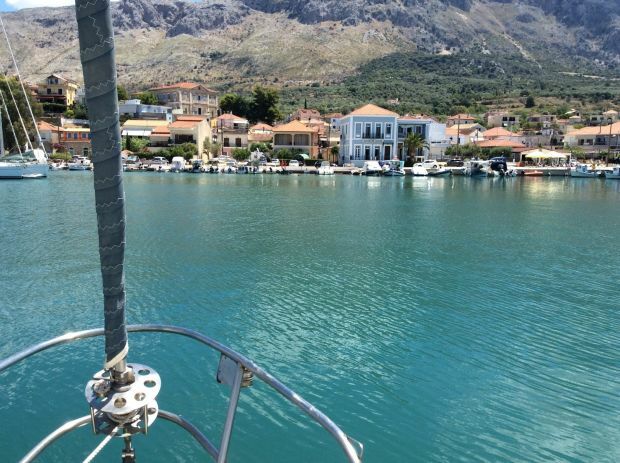 If you pick up your charter yacht from Lefkas, one lovely destination to consider is the interesting harbour town of Paleros. With its dramatic mountainous backdrop, Paleros is situated on the Greek mainland, 12 nautical miles south-east from Lefkas, within the inland sea, so called because you are never out of sight of land in all directions. Paleros is a much quieter location than the lively and brash Nidri, which is also a popular destination for charter yachts starting from Lefkas. This small town, which extends up into the pine forests behind, can be considered a Greek seaside resort, and visitors are attracted to the beaches and tavernas along the waterfront at Paleros. 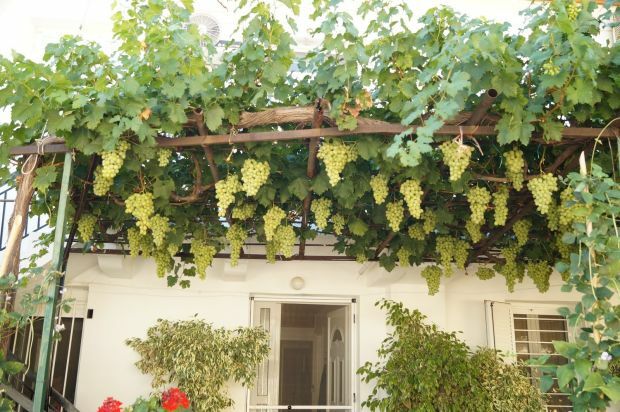 There are many small back streets to explore, and you will find some beautiful shady gardens planted with many varieties of fruit trees and colourful flowers. There is a high amount of rainfall here in the winter months and therefore, this part of the coast is fertile and very green. The harbour at Paleros can hold over a dozen yachts along the main wall. There is also a pontoon which can be used by visiting yachts if not occupied by another charter company. There is free water available in the harbour. Be careful not to come too close to the end of the wall when entering the harbour by yacht, where large amounts of silt have collected, making the entrance shallow in parts. At the other end of the breakwater is the well-established Yacht Club Bar, which has no association with yachts, and requires no membership, but provides a wonderful location right on the beach for a relaxing afternoon. You can use the free sunbeds under a shady canopy. Besides of the relaxing sunbeds at Yacht Club Bar, they serve excellent, well-priced snacks, full meals and drinks and also have a wood-fired pizza oven. The main square in Paleros is often busy in summer, with restaurants and bars close by, and a variety of activities such as exhibitions and concerts are regularly held here. Over 2,500 residents live in Paleros all year round and there are excellent links to the town of Vonitsa to the north, and also Preveza and the nearby airport. If you want a change from Greek salad and moussaka, the well-established Panorama restaurant along the waterfront has had the same Indian cook for the past 14 years. As well as excellent Greek cuisine they offer a wide selection of Indian dishes which are not only authentic but extremely delicious. It is also worth taking a stroll up the hill to the main street in Paleros, where you will find a small supermarket as well as several butchers and bakeries. Be sure not to miss a visit to the large church of Agias Paraskevis, which has one of the most colourful interiors of any church in this part of Greece. If you are feeling more energetic, a 4km uphill walk eastwards to the foothills of the mountains will bring you to the interesting 16th-century monastery of St. Dimitrios. The tiny church in the grounds of the monastery was once almost destroyed by fire, as you can see by the charred roof. Behind the church lies a huge boulder which fell from the mountains, and it is said that St. Dimitrios stopped the boulder from destroying the church, so the monastery was later named after him. The local people of Paleros hold the monastery in high regard and consider it to be the protector of their town. If you prefer to anchor, or simply stop for a lunchtime swim before you reach Paleros, you will find Varko Bay. 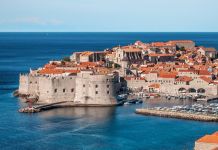 This area has become more popular in recent years, and there are now some well-established beach bars, sunbeds and umbrellas for you to use along that part of the coast if you want to swim ashore or take the dinghy. This bay is suitable for anchoring overnight, and you will see the lights of Nidri twinkling in the distance, some 5 miles across the water to the south-west. Learn more about Georgina’s sailing tips and destination guides on her own website here or read the other blog posts that Georgina wrote for Zizoo. If you want to go and discover Paleros by yourself, check out our fleet in Lefkas or contact our team of boat experts for more information about sailing holidays in Lefkas. Previous articleCruisers’ stories: Can you afford to sail?